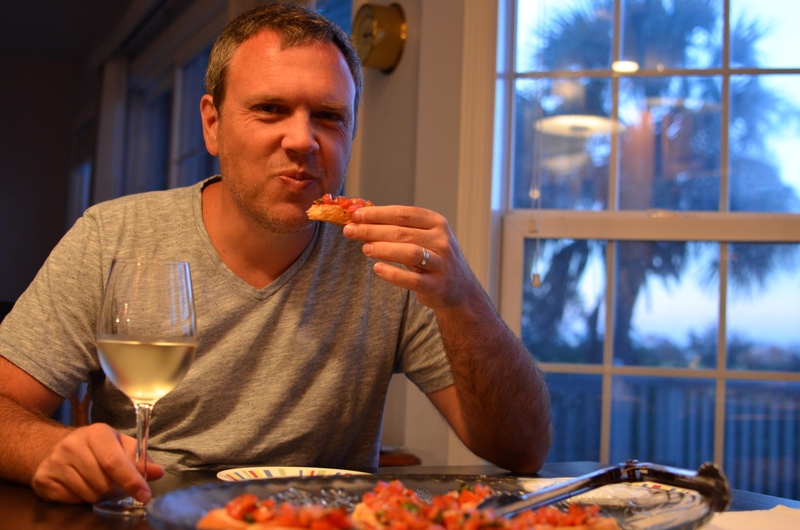 The key to my husband’s heart = bruschetta. Preferably made from fresh, St. Helena Island grown, heirloom tomatoes. Preferably on toasted French bread from the Publix bakery. Preferably with a glass of crisp white wine. Seriously. See this picture above? It makes my heart sing. Because I’ve flooded his heart with bruschetta love. This year, Braydon got a run for his money from his two sons. They’ve developed quite a love for bruschetta themselves. Next year I’m going to have to buy two baguettes. 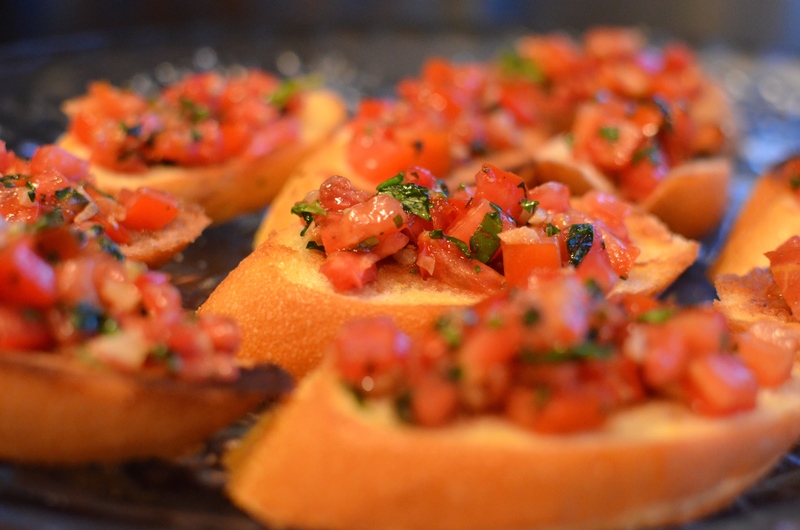 I love making and eating Bruschetta! I learnt from my Italian friend 8 years ago that I’ve been pronouncing it wrong!